The chambray shirt... I have a love and hate relationship with this trend. When someone pulls off a chambray shirt in the right way, there is really nothing better. When someone puts it on like a Canadian tuxedo (no offense), it instantly makes me forget why I ever liked this look. Here are some shirts that do the trick to look good in chambray. Also these looks won't break the bank, which is always a plus. Love the color and the look of chambray with white. Classic. The faded chambray paired with the colored denim is a slight spin on this trend. This is the least expensive option of the three, but personally my favorite. These shorts are great. I love the scalloped detail in the chambray trend. 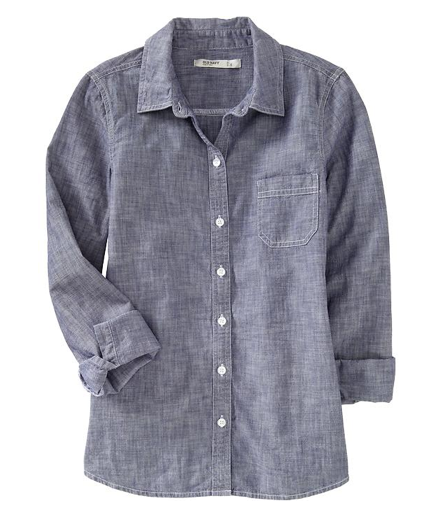 What's your favorite way to wear chambray? 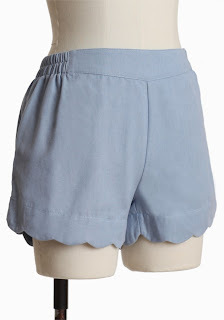 Those scalloped shorts are awesome! REally need to jump on this trend. Thanks for visiting my blog!